The New Year is a time to renew commitments, make big changes, and live next year as if it is a new beginning. But changes are hard to make. Despite the best laid plans, it is difficult to make permanent changes. 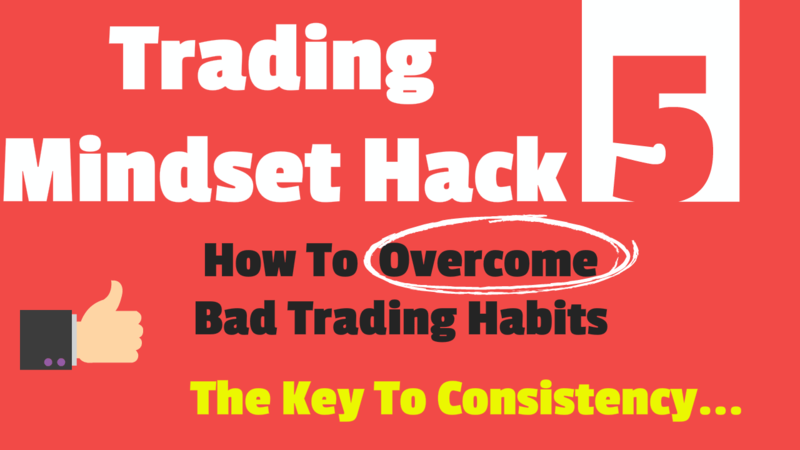 If you want to make permanent changes to your life in general and your trading habits in particular, it’ essential that you understand how most people fail and make sure you avoid common traps. Most people are unrealistic in terms of the changes they can make and the rewards they will receive. If you can be realistic, you will not only be able to make changes, but you’ll be able to make them stick. When going about making a permanent change, many people erroneously think they can make dramatic changes when modest changes are more realistic. People strive for goals that they can’t possibly achieve. Since their expectations often exceed what is realistic, they fail quickly, feel disappointed, and just give up. Similarly, many people underestimate the time it takes to make a substantial change. An example in the trading arena is expecting to make huge profits without honing one’s trading skills or gaining a wealth of experience with the markets. You can’t merely will yourself into becoming a seasoned trader over night. Give yourself enough time. Set learning goals rather than performance goals. In other words, set aside a specific amount of time each day to hone your skills, and reward yourself for achieving the goal, despite how much profit you make. If you start out with this strategy, you’ll feel that you are making progress and you’ll find it easier to persist when the markets appear to be fighting you. Many people give up trading prematurely because they think that mastering the markets is easier than it actually is. Many people spend years honing their trading skills. A hobbyist approach isn’t going to work. You must make a solid commitment to master the market and work toward it. Don’t under estimate the difficulty and expertise needed to master the markets. When trying to master a challenging profession like trading, it’s easy to react with overconfidence and unrealistic optimism. When one’s hopes are dashed, however, it’s hard to continue fighting. It may not be useful to be a pessimist, but it is essential to be a realist. By cultivating a sense of healthy skepticism regarding your trading skills and your trading strategies, you’ll stay positive and focused. You’ll tend to view setbacks as just a minor glitch, rather than a major tragedy, and you’ll persist until you hone your trading skills. Finally, it’s not only necessary to stay realistic when it comes to how difficult it is to master the markets, but it is also essential to be realistic when it comes to your expectations regarding potential rewards. For example, novice traders envision extreme wealth and advantages they will reap from them. Media images don’t help matters. Expensive cars and luxurious homes are associated with happiness and bliss, and it’s reasonable for people to think that making huge wins will produce ultimate contentment. But these expectations rarely materialize and one usually encounters disappointment. It’s better to realize that even the most successful trader doesn’t have a perfect life. The potential rewards most people dream about are often unrealistic. It’s wise to make sure that your expectations of reward are realistic. When it comes to trading, long-term enduring financial rewards may take a little while. And it may not bring the happiness you are searching for. It is useful to enjoy the process of trading. Trading is a fun and rewarding endeavor in and of itself. If you remember that fact, you’ll feel happy and rewarded every day. And that will help you continue trading. This year, make a new commitment to trading. Stay realistic and enjoy yourself. The more you can do so, the happier you’ll be and the more successful you’ll trade.